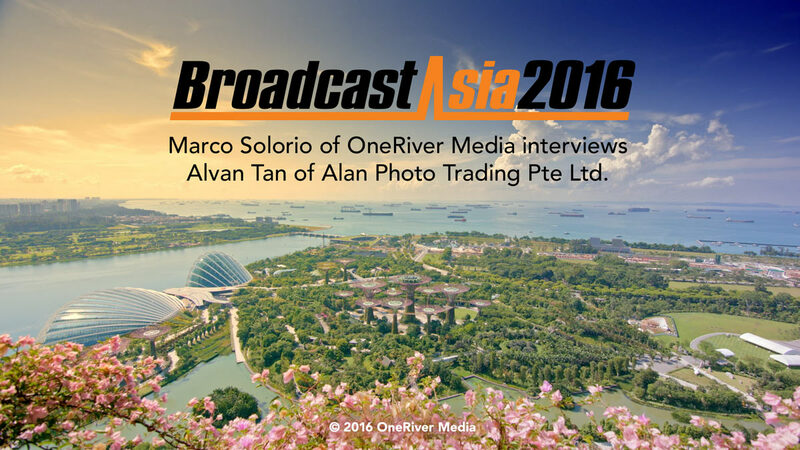 While presenting in Singapore for Broadcast Asia and a special 10/10ths film event, Marco Solorio of OneRiver Media got the chance to interview Alvan Tan of Alan Photo Trading, an established photo and video reseller based in Singapore to discuss some of the affordable tools available for today’s filmmakers. Samyang/Rokinon XEEN cine lenses, Blackmagic cameras, F&V lights, renting vs. buying, and much more are discussed. I had the incredible honor of spending an enormous amount of time in Singapore and meeting new friends and re-connecting with old ones. This was the first time I’ve ever been to Singapore and I was extremely excited for the trip, namely because everyone I’ve talked to that has been there was telling me how great it is there. And they were correct! My time there was truly amazing. The main purposed of me traveling to Singapore was to present for two days at Broadcast Asia and another two days at the ITE Theatre where we held a special filmmaker event (hosted and sponsored by Blackmagic Design) that focused on the making of our 2-hour BMW documentary feature film, “10/10ths”. 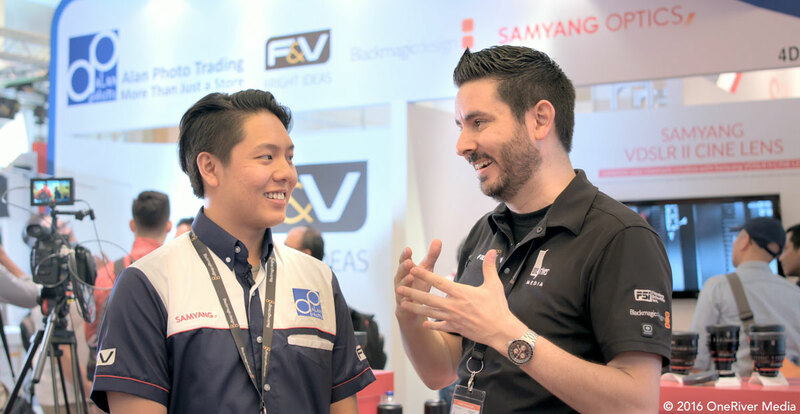 Luckily for me, I had to time to spend outside of my presentations and in so doing, did an impromptu interview with Alvan Tan of Alan Photo Trading Pte Ltd. And by impromptu, I mean that I wasn’t planning on shooting any interviews of anyone while I was there. But like documentary filmmaking, you just never know what to truly expect! Alvan is a top-notch guy and felt it was interesting to see how our two different worlds overlap, not just in the geographical sense, but also in the filmmaking sense (he as a reseller of products, that I as a filmmaker use in real-world productions). Alvan Tan (left) and Marco Solorio (right) share their brief thoughts on low cost filmmaking. I actually brought my URSA Mini 4.6K to Singapore for two reasons; to shoot my presentations as reference bust mostly to use as part of a nature-based series we’ve been producing (undisclosed details at this time) with footage Suzette Mariel and I wanted to capture during our time in Singapore. So I had the camera, lenses, media, wireless audio, power, and available light! Luckily everything worked out technically-wise. Curiosity from my part, I even opted to use the Samyang/Rokinon XEEN cinema lenses, literally from the displays on their booth, to see how they would perform for the interview and the B-roll I captured from their booth. I didn’t expect we’d even be talking about the XEEN lenses, so it actually worked out (again)! And I have to say, I rather enjoyed using these XEEN lenses, as I haven’t had a chance to really play with them on my own cameras until this interview (only playing with them prior at NAB and such). Build quality was nice and optically they seem to bode quite well. Besides the XEEN lenses, we also discuss other topics relating to affordable video production and filmmaking, including F&V lights (one of the vendors at the Alan Photo booth) and Blackmagic Design cameras. We even talk about rental versus buying for production gear. We even get a little background on Alvan and his father Alan and their business of many years. All in all this was an enjoyable interview with someone new I got to meet and their perspective as a reseller outside of the United State that I wouldn’t normally run into. Good times by all and I’m looking very forward to my next trip to Singapore! Shot on the Blackmagic Design URSA Mini 4.6K EF in ProRes LT mode at 4K UHD resolution. Interview was shot with the Samyang/Rokinon XEEN 35mm prime cine EF mount T1.5 lens at roughly T2.8. BTS shot of interview showing URSA Mini and interview shot with iPhone 6S+. B-roll outside of Alan Photo booth shot with URSA Mini 4.6K using a combination of Canon 135mm f/2L, Canon 50mm f/1.2L, and Tokina 11-20mm f/2.8 lenses. B-roll of Lumen shop and BTS of Marco Solorio shooting URSA Mini 4.6K on the Edelkrone Slider Plus V2 shot with Leica D-Lux Typ 109 camera. Sennheiser AVX MKE2 wireless audio for interview. Entirely edited in DaVinci Resolve Studio 12.5 with native footage formats. Special thanks to Broadcast Asia and Blackmagic Design for making these events possible.